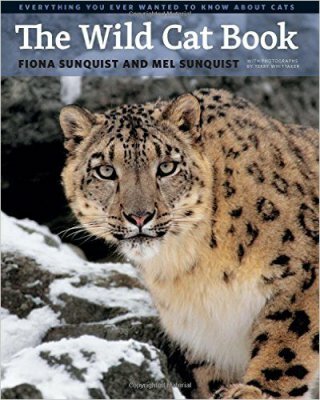 Conservation CATalyst has been a leading authority on cat conservation in hundreds of newspapers, magazines, documentaries, and internet sites. 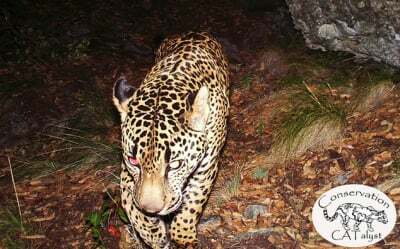 Meet Mayke: The only jaguar-tracking dog in the U.S. 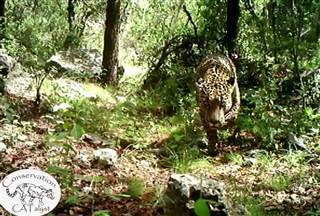 He roams alone: El Jefe may be the last wild jaguar in the U.S.
El Jefe: Is this the United States' last jaguar? 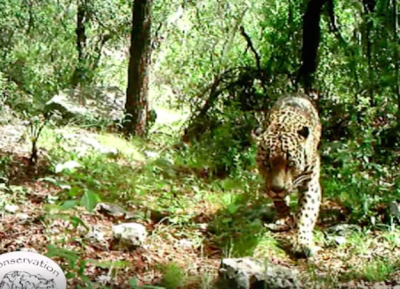 Take a look at the only wild jaguar in the U.S. 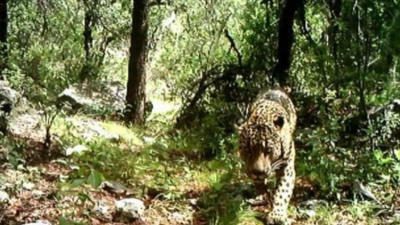 Raw footage shows what is believed to be last remaining wild jaguar in U.S.
Wild jaguar caught on video in S.W. 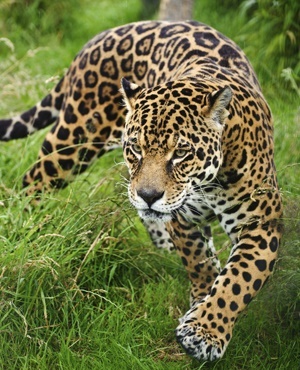 A Rare Glimpse of America's Only Wild Jaguar: This handsome feline just made his movie debut. An estimated 100 million viewers from around the world saw the first released video footage of the only known wild jaguar that resides in the U.S. 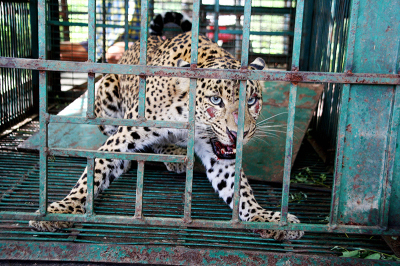 This is the crucial first step toward saving these magnificent cats. 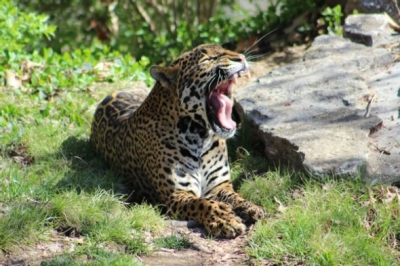 Public support is instrumental in preserving the delicate border ecosystems for jaguars and other wildlife. 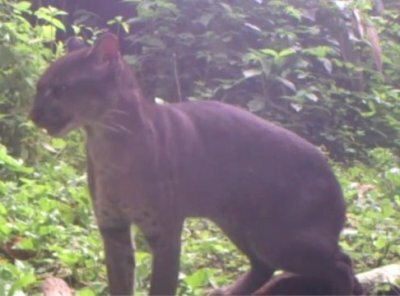 The world's least known cat has been caught on camera in a previously unsurveyed rainforest. 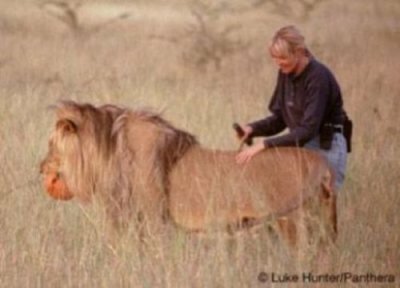 Commercial 'wildlife encounter' operations across Africa promoting the reintroduction of captive lions do little to further the conservation of African lions in the wild, new research shows. 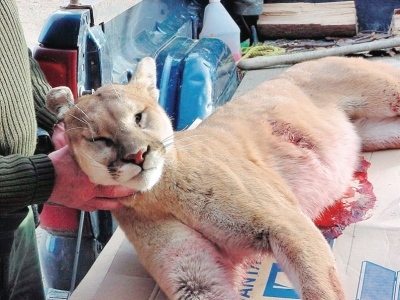 Cougar hunters in B.C. 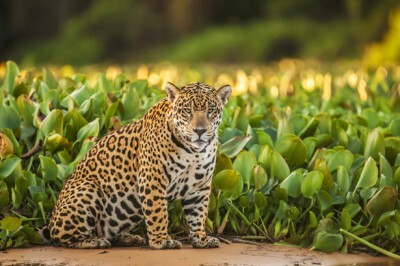 who target and kill big adult cats are linked with increasing subsequent dangerous interactions with people, says the University of Victoria co-author of a new study. 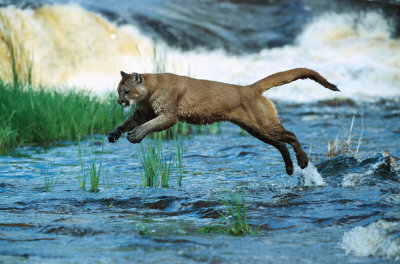 The death of mature, mainly male, cougars provides inroads for immature “teenage” cougars to get in trouble with risky behaviour, and that includes contact with humans, said Chris Darimont, the Hakai-Raincoast professor at UVic. 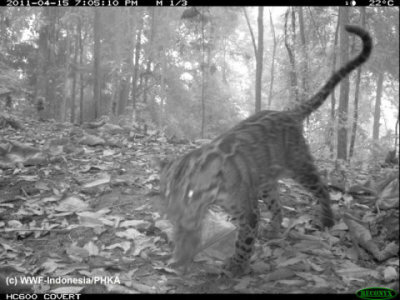 After an amazing five of the seven wild cat species found on the Indonesian island of Sumatra were recently caught on camera in tract of forest being rapidly lost to deforestation, the World Wildlife Fund in Indonesia is urging companies and authorities to take immediate steps to save the valuable area. 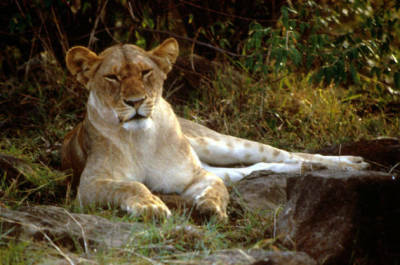 Parts of feline immunodeficiency virus isolated from wild lions have undergone substantial genetic recombination. 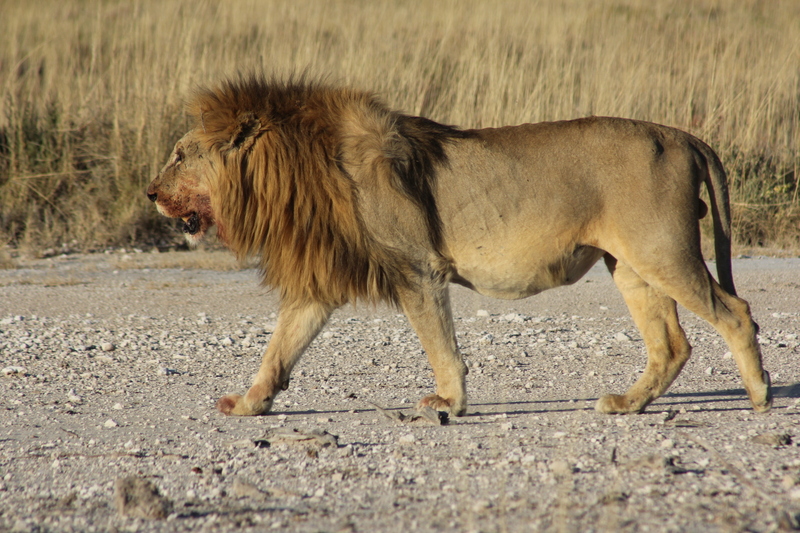 The sequencing of the two full FIV genomes of different lion subtypes shows the importance of whole-genome analysis in understanding complex genetic events. 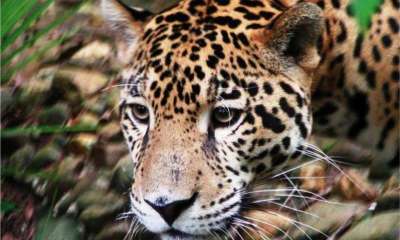 These findings will be relevant to big cat conservation and developing more effective animal models for HIV. 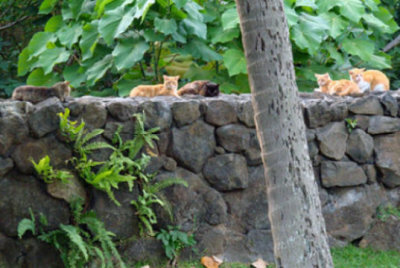 Were domestic cats brought to China over 5,000 years ago? 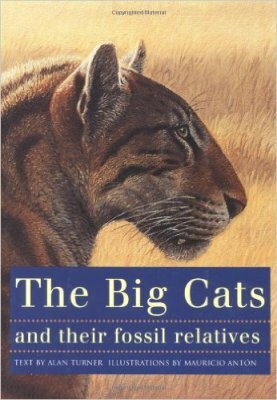 Or were small cats domesticated in China at that time? 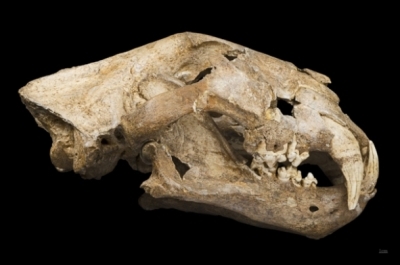 There was no way of deciding between these two hypotheses until a team of investigators succeeded in determining the species corresponding to cat remains found in agricultural settlements in China, dating from around 3500 BC. 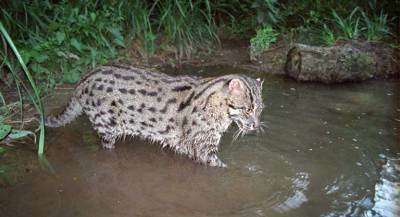 All the bones belong to the leopard cat, a distant relation of the western wildcat, from which all modern domestic cats are descended. 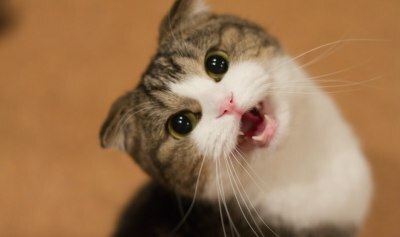 The scientists have thus provided evidence that cats began to be domesticated in China earlier than 3,000 BC. 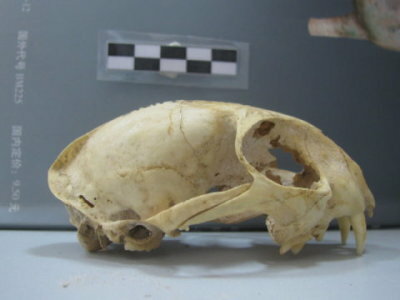 Five-thousand years before it was immortalized in a British nursery rhyme, the cat that caught the rat that ate the malt was doing just fine living alongside farmers in the ancient Chinese village of Quanhucun, new research has shown. 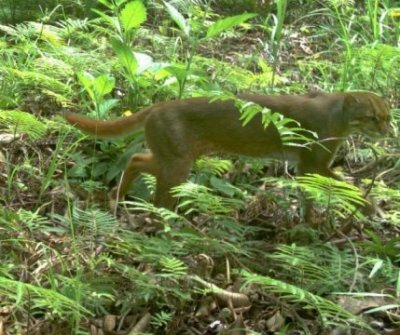 New camera trap footage from Uganda’s Kibale National Park shows a rarely seen African golden cat. 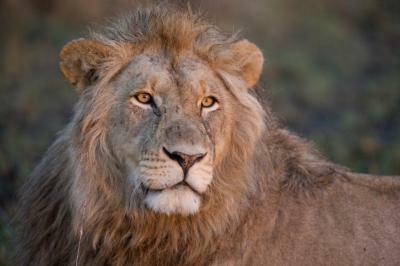 Should Wild Animals Have Property Rights Over Their Habitats? One of the many reasons the world is facing a sixth mass extinction is straightforward: As more wild areas are farmed or developed or forested, animals are running out of places to live. 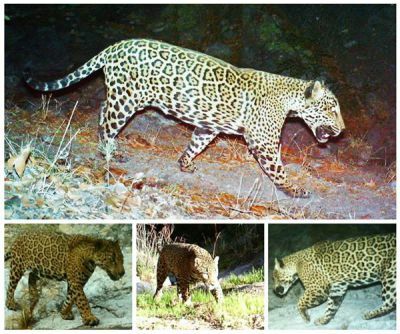 MEXICO CITY — A study of jaguar populations in Mexico and Central America shows significant levels of inbreeding in some areas, suggesting a new danger for a species that has disappeared from three-quarters of its original range. 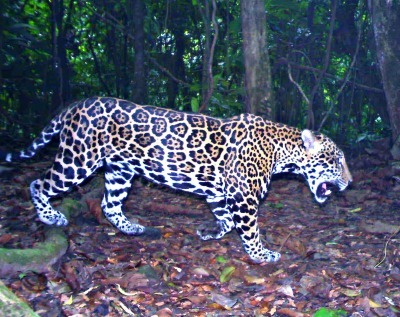 The study published Wednesday in the journal PLOS ONE suggests that preserving isolated patches of tropical forest may not be enough to save the jaguar, which is considered a near-threatened but not yet endangered species. 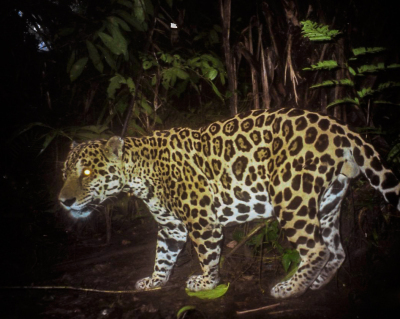 A damning new report from the World Wildlife Fund has found a precipitous decline in the world’s animal populations as thousands of species scramble to survive against a sole enemy: humans. The 2016 version of WWF’s biennial Living Planet Report, published Thursday, found a 58 percent overall decline in vertebrate populations from 1970 to 2012, the latest year with available data. 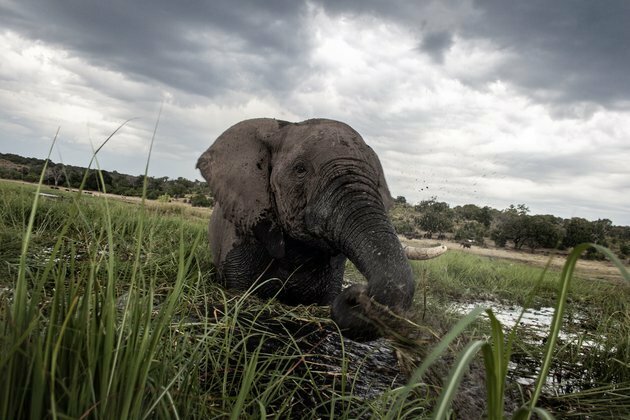 The nonprofit warned that if current trends continue, the world could lose more than two-thirds of wildlife by 2020. 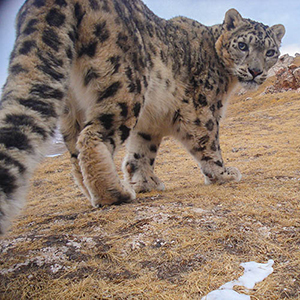 Hundreds of snow leopards are being killed by poachers every year across the high mountain ranges of Asia, according to a new report. 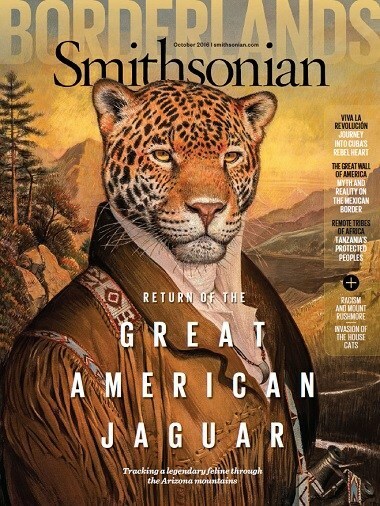 It's estimated there are just 4,000 of these elegant but elusive creatures now surviving in the wild. 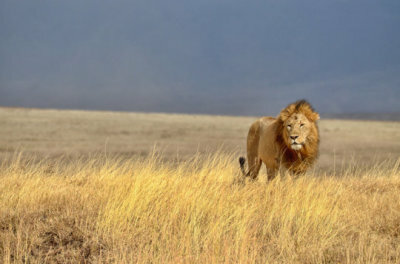 Ensuring that healthy, wild lion populations continue to roam Africa’s savannas has become increasingly challenging, as southern Africa’s expanding human population comes into ever greater conflict with lions across much of their range. The U.S. Fish and Wildlife Service and our partners understand that securing the lion’s future depends upon finding solutions that recognize the needs of those people and communities who share the landscape with them. The three-acre hilltop park overlooking Iran’s smog-blanketed capital might seem like a nice spot for romance. But the couple has not been in the mood. Delbar, a 4-year-old female Asiatic cheetah, was brought to the fenced enclosure at Tehran’s Pardisan park by conservation officials who hoped she would mate with Koshki, a 10-year-old male. 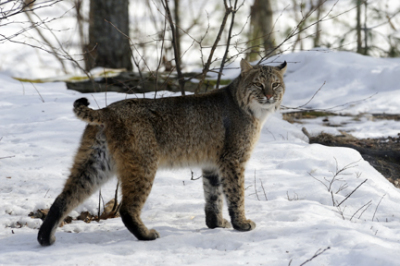 New Hampshire’s bobcats are rebounding despite increased development and human activities in their natural habitats and decreases in the availability of their prey. A new research project funded by the NH Agricultural Experiment Station at the University of New Hampshire aims to understand why. 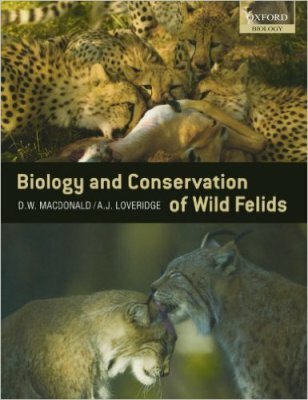 “Bobcats are now functioning as apex predators, and as a result, their success may be an important indicator of overall ecosystem health. 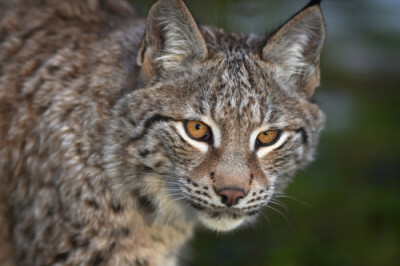 Recent population increases suggest that bobcats are adapting to a changing environment. 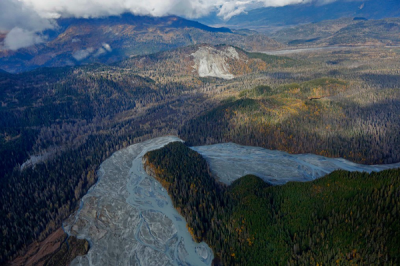 Identifying the pathways of this success may provide insight into understanding how ecosystems can remain relatively intact as human population continue to expand,” said Marian Litvaitis, professor of natural resources and the environment. She and doctoral student Rory Carroll are leading the study. 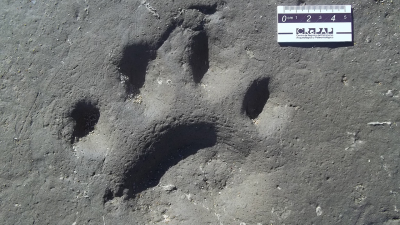 Was it a mountain lion, or a house cat? 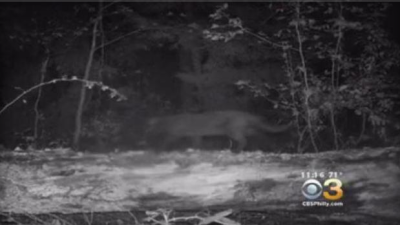 That was the question after a winery in a Hammonton, New Jersey posted a brief video appearing to show a puma strolling through the vineyard. 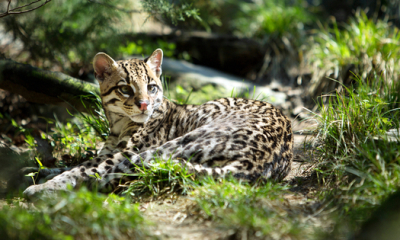 Two environmental groups are asking a judge to block moves by a federal agency to trap and remove predators from sections of Arizona and Texas until they ensure it won’t harm the endangered ocelot species. 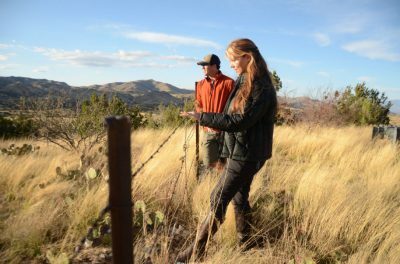 The Tucson-based Center for Biological Diversity and the Animal Welfare Institute are targeting the Wildlife Damage Management Program, which now seeks to remove coyotes and bobcats when there are conflicts with people; the conflicts are often with ranchers. 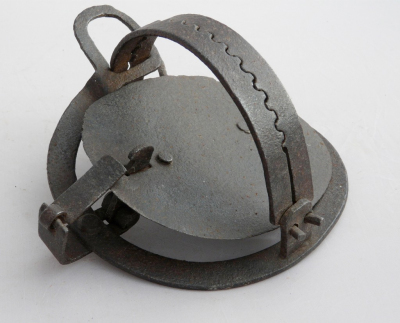 The 182 countries at the Johannesburg summit did reach a compromise banning only the trade in bones, teeth and claws from wild lions. The Kansas Department of Wildlife, Parks and Tourism posted a photos of a mountain captured by a hunter's trail camera. "The clarity of the shots provide a crystal clear image of the animal's signature long, upturned tail and the nearby blind serves as a great size reference," read the agency's Facebook post. 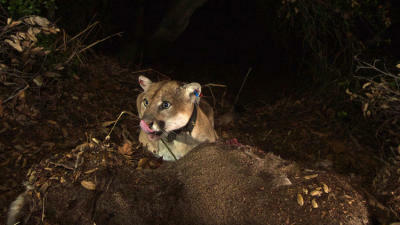 The agency says this the 16th confirmed mountain lion in the state to date. 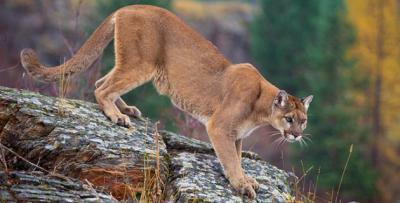 Mountain lions, or cougars as they are also known, have long been associated with regions other than the Plains, but mountain lions are expanding their territory into the area. 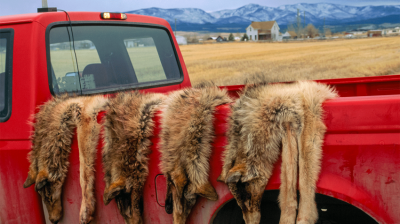 According to a new study conducted in North Dakota and South Dakota however, livestock in the Great Plains may be relatively safe from the big cats. 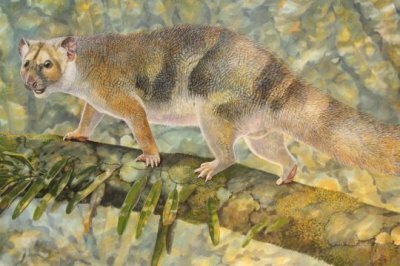 The fossil remains of a new tiny species of marsupial lion which prowled the lush rainforests of northern Australia about 18 million years ago have been unearthed in the Riversleigh World Heritage Area of remote north-western Queensland. The discovery team has named the new species Microleo attenboroughi for its small size and to honor the famous broadcaster and naturalist Sir David Attenborough. 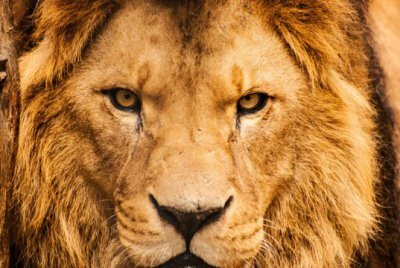 Lions in West and Central Africa form a unique group, only distantly related to lions in East and Southern Africa, biologists have discovered. 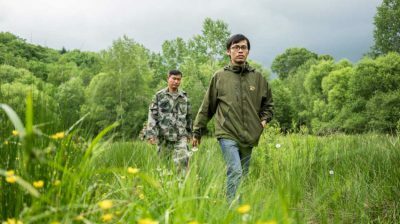 Scientists from the Wildlife Conservation Society used satellite and survey data to conclude that human interference has led to a 10 percent decline in wilderness on Earth over the last few decades. Sri Lanka’s forested areas in the north provided an ideal environment for the LTTE’s guerilla warfare tactics. “Wilpattu’s jungles were ideal for hideouts and movement corridors to access the west of the island,” said Watson. 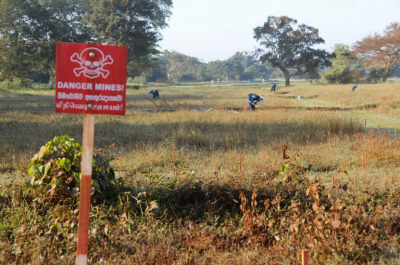 During the ceasefire in 2002, Watson and her team, accompanied by the Sri Lankan Army, made a field visit to assess forest and wildlife conditions but were confined to a couple of main roads due to fears that landmines were present elsewhere in the park. They conducted an additional recce visit when the park temporarily reopened in 2004, but security concerns and lack of access hindered more extensive research. 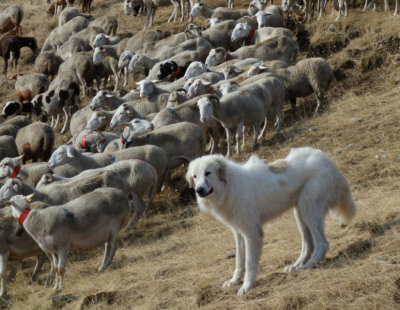 A new study published in the journal Frontiers in Ecology and the Environment finds that there is very little evidence demonstrating the effectiveness of lethal methods for controlling carnivores that prey on livestock. 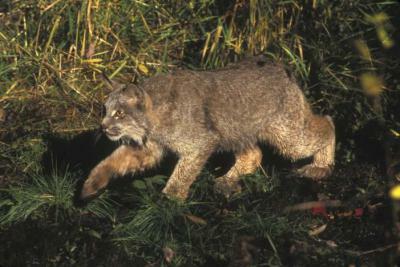 A federal judge ordered U.S. wildlife managers on Wednesday to enlarge habitat protections in Idaho, Montana and Colorado for the Canada lynx, a rare wild cat that roams the Rockies and mountain forests of several other states. 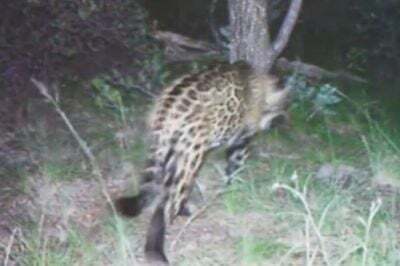 Andean cat kept in the zoo in La Paz will be released in the Sajama Park James, the only specimen of Andean cat (Leopardus Jacobite) who was in custody in the municipal zoo Vesty Pakos in La Paz, will be released this weekend in the Sajama National Park , its natural habitat in Oruro. The animal carry an radiocollar with GPS (global positioning system) which will follow it up during the next six months. 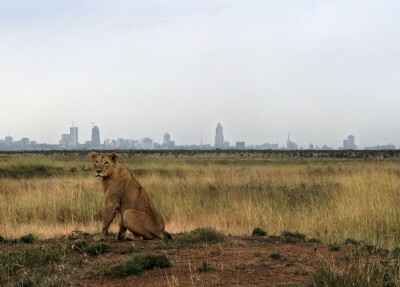 NAIROBI — The last time the lions charged through Simon Saigilu’s village, he was ready. He jumped out of bed with a flashlight and a spear, emitting a high-pitched scream that was the closest thing anyone here had to an alarm. Blink and you’ll miss it. 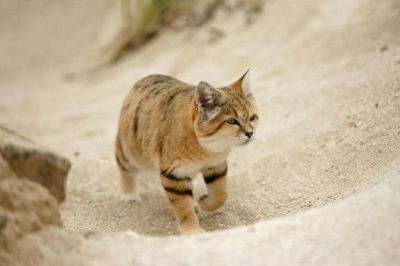 The sand cat is a shy and secretive animal only seen in the desert at night. 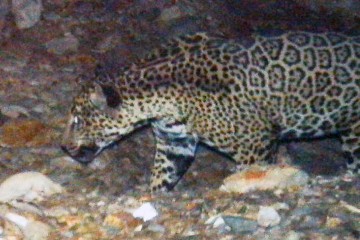 It’s a nocturnal hunter perfectly adapted to its desert home. It doesn’t need to drink water as it can get all it needs from the small birds, reptiles and mammals that are its prey. Special hairs in its ears and on its paws keep the sand out. Despite its wide distribution across the deserts of North Africa, Arabia and Central Asia, little is known about this elusive species. 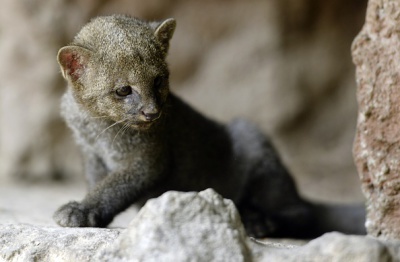 Red Cross volunteers searching for a drowned young tourist from the United States were led to discovery by a jaguarundi (eyra cat, similar to a mountain lion), which seemed to be guarding the deceased child. 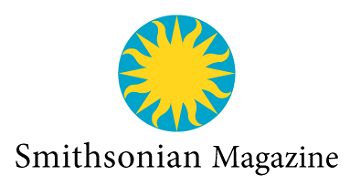 As reported by The Costa Rica Star earlier this week, a flash flood swept away three U.S. tourists swimming in the Blanco river in the Rincon de la Vieja (Old Woman’s Corner) National Park, province of Guanacaste. Two victims, a 67-year old woman, a 38-year old man were recovered by Red Cross rescuers on the day of the incident. The 6-year old child would be found a day later. 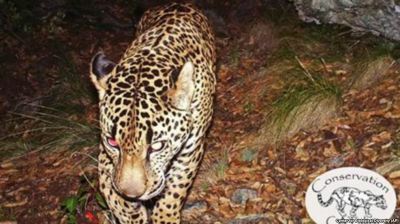 According to the study published in the journal Behavioral Ecology, their fear of humans may have been because over the past years, humans had been hunting more animals than their own predators. 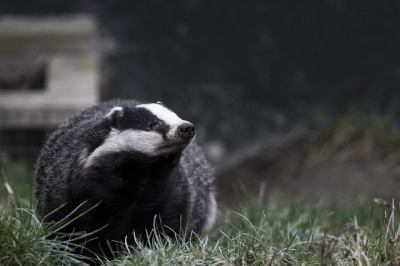 Researchers from Western University in London Ontario and biologist David Macdonald from the University of Oxford's Wildlife Conservation Research Unit (WildCRU) conducted an experiment to find out how European badgers would react to the sounds that they hear within their ecosystem. The group did this by playing recordings that include sounds of bears, wolves, dogs and chattering humans. Florida panthers have been ambling through the news recently in positive and tragic ways. 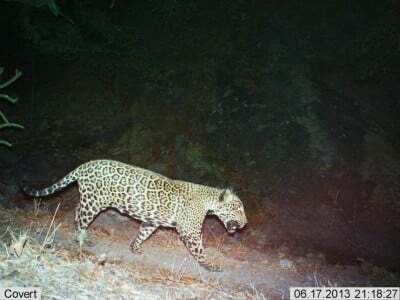 Their numbers have increased slightly in recent years along with high-tech ways of monitoring them. 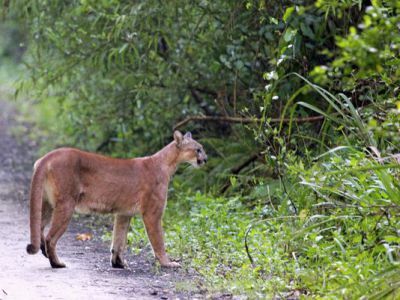 There were recent sightings on a Corkscrew Swamp Sanctuary walkway and in Buckingham; a 2-year-old was released in Big Cypress National Reserve on May 25; and it was announced that the Florida Panther Festival will be at the Naples Zoo for the first time on Nov. 5. 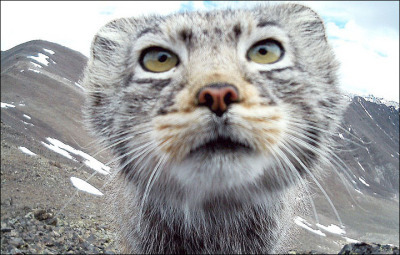 Meet the rare Pallas's cat as the animal comes face to face with a photo trap in its natural habitat in the Altai Nature Reserve. 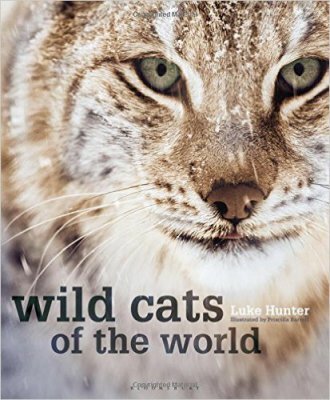 The wild cats are famous for their adorable fluffy looks with rounded faces and expressive eyes. But they are secretive and do not like to be seen, making these images rather special. Known also as Manul cats, a name which has Mongolian origins, they appear bigger and heavier than they are. It's hair keeps it warm in its native Siberia but also gives the illusion of stocky frame and a larger size than it really has. A hoarse, yelping bark rang out from the wooded hillside. Then again. The unearthly calls, sounding somewhere between fox and cat, continued in a steady sequence, carrying through the forest’s mossy tree trunks and damp leaf litter, growing louder as they approached. Then, abruptly, the woods fell silent. 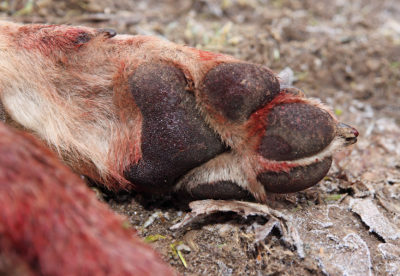 What large mammal regularly kills humans in the Eastern United States? And what other large mammal might significantly reduce those deaths? 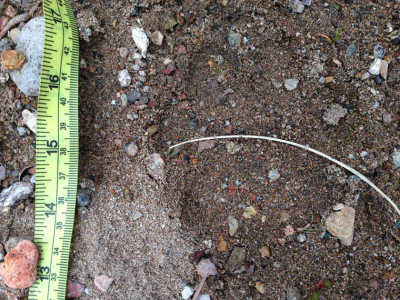 The answer to the first question is the white-tailed deer. Deer do not set out to murder people, as far as anyone knows, but they do jump out in front of vehicles so often that they cause more than a million collisions a year, resulting in more than 200 deaths. 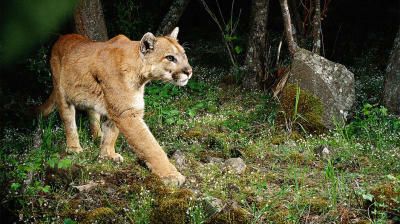 In the hills and wooded areas of the Los Angeles area, mountain lions remain a constant, yet mostly unseen, presence. 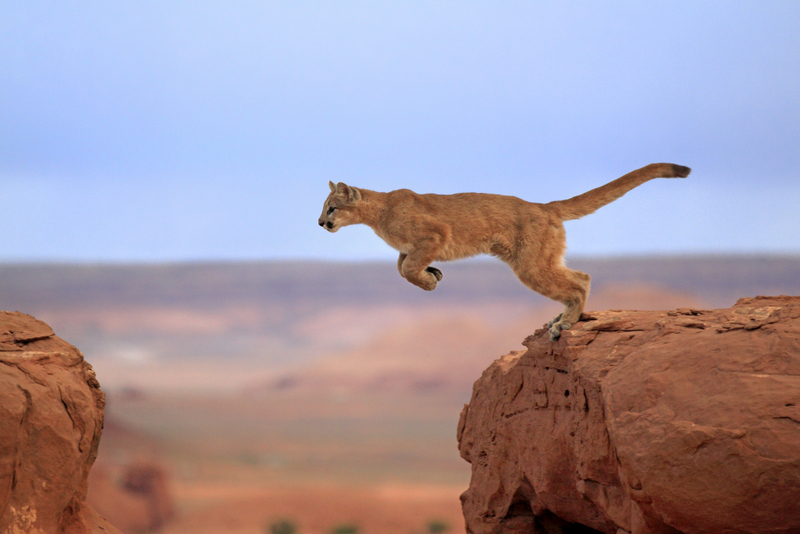 But the predators may come closer to human areas to hunt than we previously realized, according to a recent study by UCLA and the National Park Service. 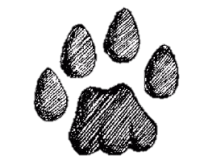 The study, published in PLOS One, tracked mountain lions in and around the Santa Monica Mountains National Recreation Area to see where the predators like to hunt and kill their favorite food: mule deer. 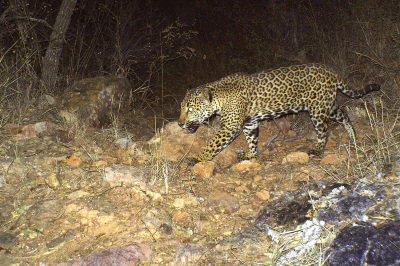 Although protected areas such as national parks can play a crucial role in conserving wildlife, most species of large carnivores and large herbivores also depend on being able to occupy human-dominated landscapes. This sharing of space is often associated with conflicts between humans and wildlife, and between different groups of humans with divergent interests. In order to achieve a situation that can be described as "coexistence" there is a need to develop a more nuanced and realistic understanding of what this state looks like. The tiny lion cubs bounce down the dusty track alive with curiosity about their new world from their inquisitive faces to the tips of their tails. This new life is a symbol of the surprising good that has stemmed from the tragic death of their grandfather, Cecil. 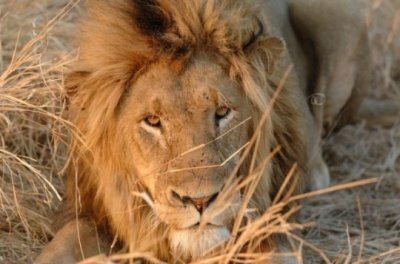 Cecil, killed by US dentist Walter Palmer one year ago, has 13 surviving sons and daughters and 15 known grandcubs so far. They, like Cecil before he died, have survived brushes with death. 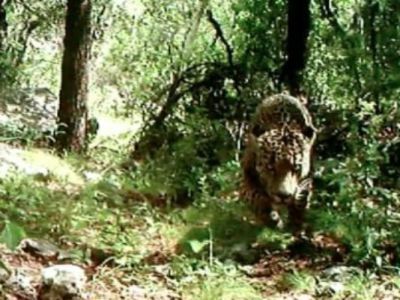 ALBUQUERQUE, N.M. — Environmentalists are suing the New Mexico Game Commission in federal court, arguing that expanded cougar trapping threatens endangered Mexican gray wolves and jaguars. The lawsuit was filed Monday by The Humane Society of the United States, Animal Protection New Mexico and residents Peter and Jean Ossorio. 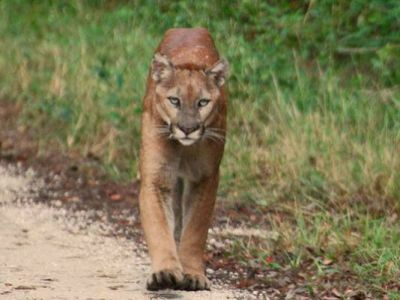 An 11-year-old female panther was found dead in Collier County Wednesday just north of the Florida Panther National Wildlife Refuge. 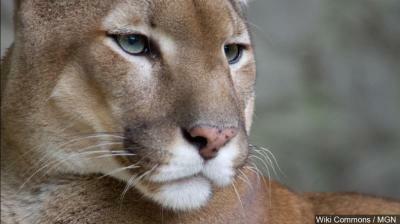 She was collared and listed as Florida panther 215, and biologists don't yet know the cause of death. 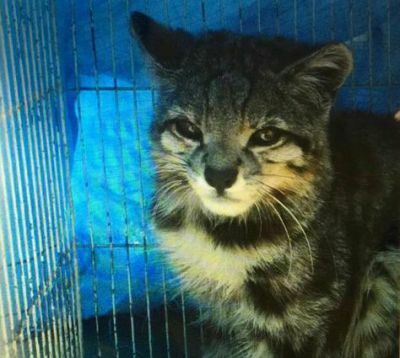 Florida Fish and Wildlife Conservation Commission biologist Mark Lotz recovered the cat. 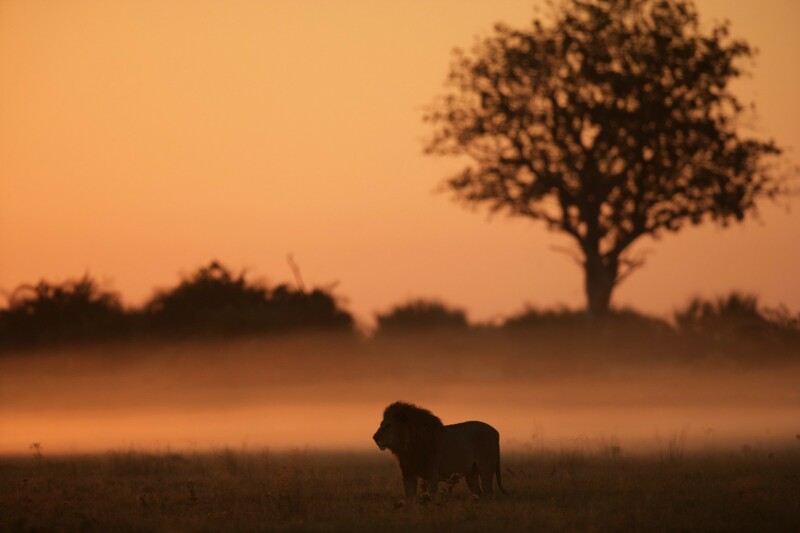 One year ago we were shocked by the news of the death of Cecil the Lion — a 13-year old male who lived in and around Hwange National Park in Zimbabwe. 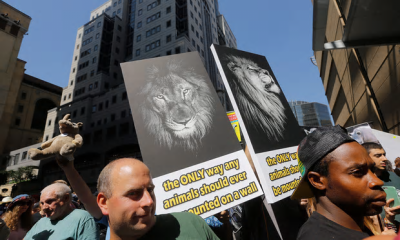 His killing remains controversial, but his death sparked much needed global awareness of the plight of lions and other big cats in the wild. 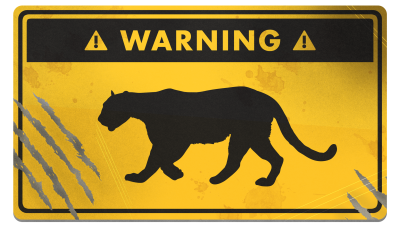 Big cats are in danger. 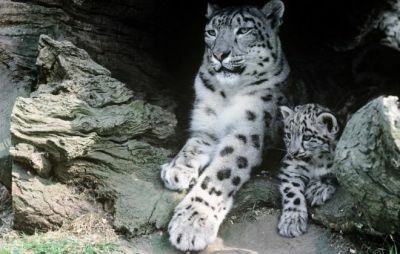 As few as 3,200 tigers, 7,500 snow leopards, 10,000 cheetahs, and 30,000 lions likely remain in the wild. 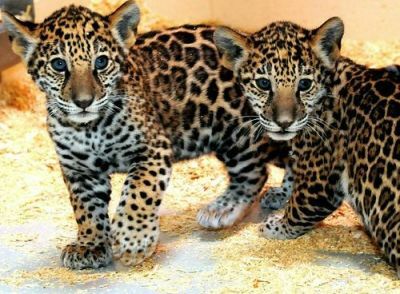 They are victims of habitat loss and fragmentation, loss of their prey base, poaching and illegal trade in their parts, as well as conflicts with humans. In the 1900 Olympic games, live pigeon shooting was an official event. 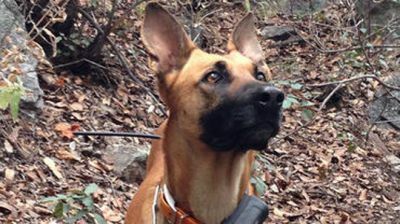 In 2014, authorities around Sochi, Russia, were criticized for rounding up stray dogs. 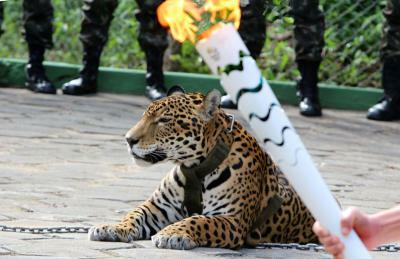 And now, a jaguar from the Amazon was killed after it was featured in a torch ceremony for this summer's games in Brazil. 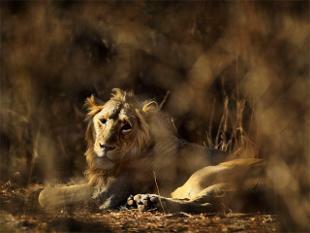 Gujarat has indicated that it may be willing to relocate some of the iconic Gir lions out of the state, signalling a shift in stance after it continued to resist the move during Narendra Modi's more than 12 years at the helm as chief minister. There’s no shortage of deer in the residential neighborhoods of California’s Santa Cruz Mountains. 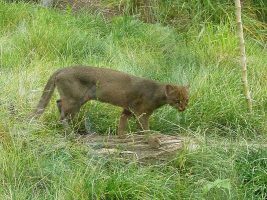 Nevertheless, the closer pumas (Puma concolor) come to human dwellings, the more likely they are to prey on smaller animals instead, according to new research. 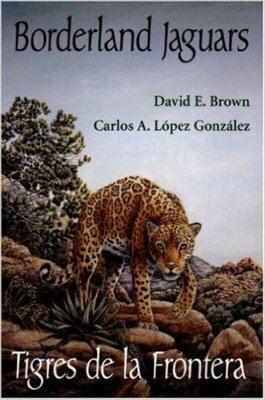 In fact, 37 percent of animals killed by pumas in suburban areas were small species like raccoons (Procyon lotor) and house cats (Felis catus), compared to just 6 percent in places with no nearby houses. 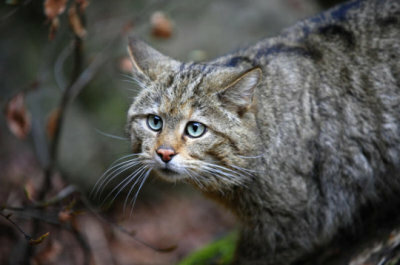 The potential return to Scotland of a long-extinct native cat has come a step closer, according to conservationists. 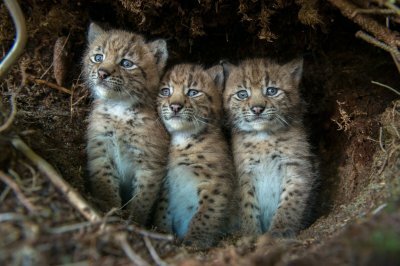 Talks have been held to discuss the details of a proposed scheme to reintroduce the Eurasian lynx to the UK after an absence of 1,300 years. 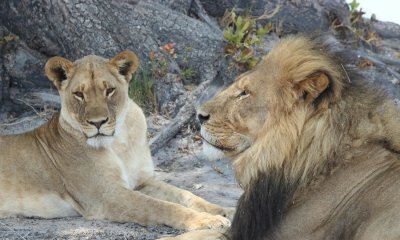 A new study of lions in Zambia concludes that to ensure their stability, trophy hunting rules should change. Kyrgyzstan’s president is taking bold steps to protect a crucial Central Asian population of the cats, long seen as sacred by his citizens. 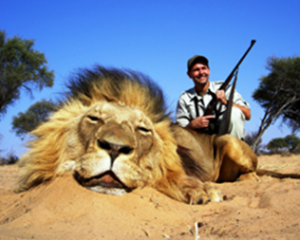 WASHINGTON — Advocates of trophy hunting, and even the United States government, have long justified the killing of protected wildlife in Africa by saying that taxes and fees from the hunts help pay for larger conservation efforts. 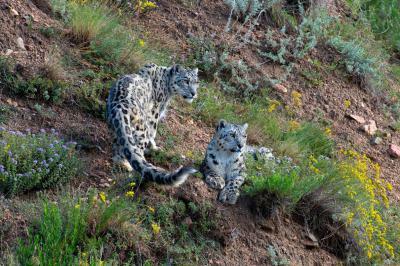 But a new report by the Democratic staff of the House Natural Resources Committee challenges those claims, finding little evidence that the money is being used to help threatened species, mostly because of rampant corruption in some countries and poorly managed wildlife programs. 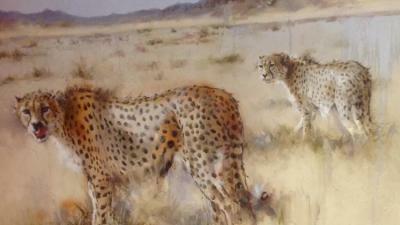 It concludes that trophy hunting may be contributing to the extinction of certain animals. 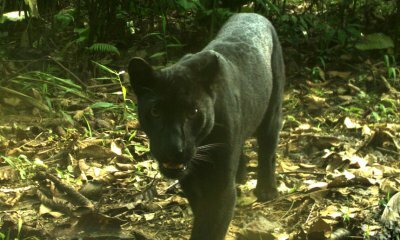 The jaguarundi species of cat may be more threatened than previously thought, scientists have warned. 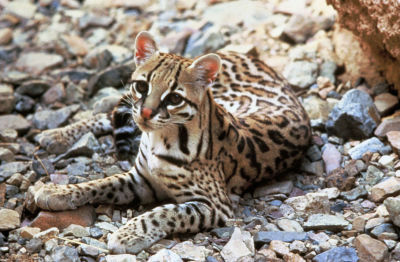 While little is known about this carnivorous feline, also known as the eyra cat – which lives in the tropical lowlands from South Texas to Central Argentina in the Americas – it was assumed that it was much more common than its endangered puma and lynx relatives. 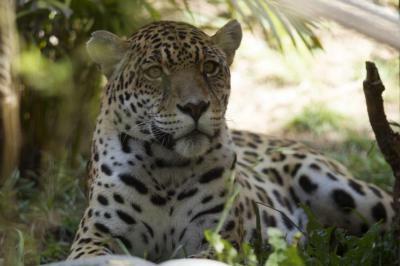 The jaguar is the rarest mammal to roam the United States, but Janay Brun was lucky enough to have a close encounter with this revered feline. 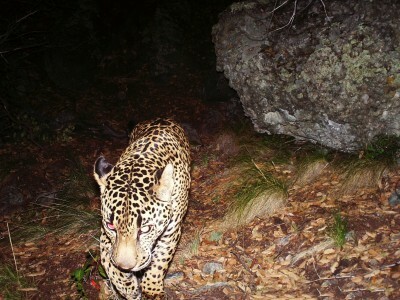 Meeting the nation's only known wild jaguar, known as Macho B, in the Sonoran Desert inspired her ten-year odyssey following the endangered cat's trail. 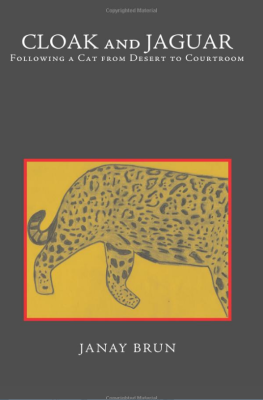 Their story begins in the remote lands along the southern U.S. border with Mexico and concludes in the hollowed halls of a federal courtroom in Tucson, Arizona. Environmental activist and "Grizzly Years" author Doug Peacock calls Janay Brun's exposé "a very valuable book...As good an inside look at insular fish and game departments as has been written. The role and cost of whistleblowing is clear, as is the portrait of the assholes who skated." 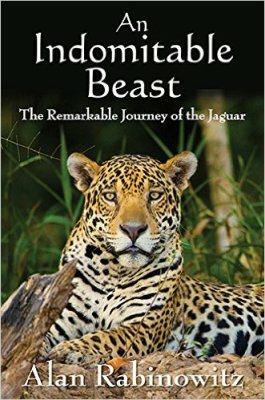 Josh Gross, founding editor of the "Jaguar and its Allies" blog, has dubbed this "a must-read book." 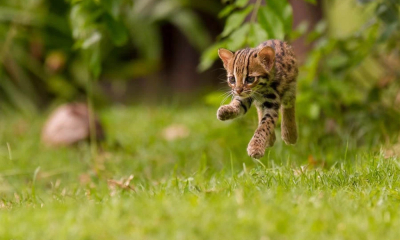 From the rabbit-sized Black-footed Cat of southern Africa to bear-killing Amur tigers of the Russian Far East, the 38 members of the Cat Family include some of the world's most fascinating and magnificent species on earth. 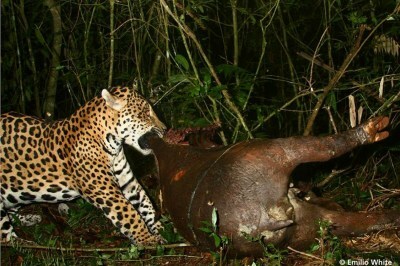 Supremely adapted for the kill, all cats are obligate carnivores; they survive only by preying upon other animals, and they have become one of evolution's most successful predatory lineages of mammals. From the ancient Egyptian cat goddess, Bastet, to the prophet Muhammad’s favorite cat, Muezza, and our contemporary obsession with online cat videos, felines have long held a place of honor in their human counterparts’ homes and cultures. 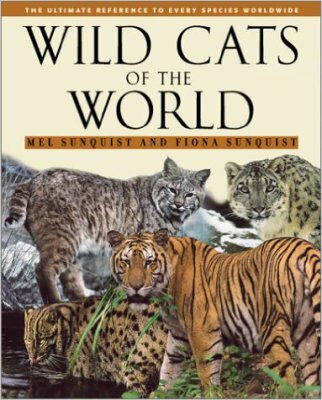 But the domestic cat is just one of many feline species, and in The Wild Cat Book cat experts Fiona and Mel Sunquist introduce us to the full panoply of the purring, roaring feline tribe.